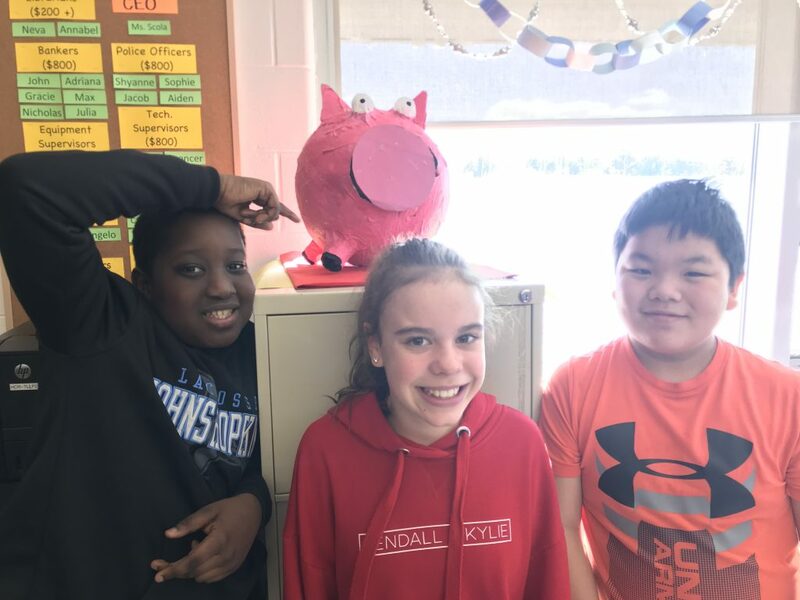 The Grade 6 students at Holy Cross Elementary School acknowledged the Lunar (Chinese) New Year in respect of the diversity of the student population. 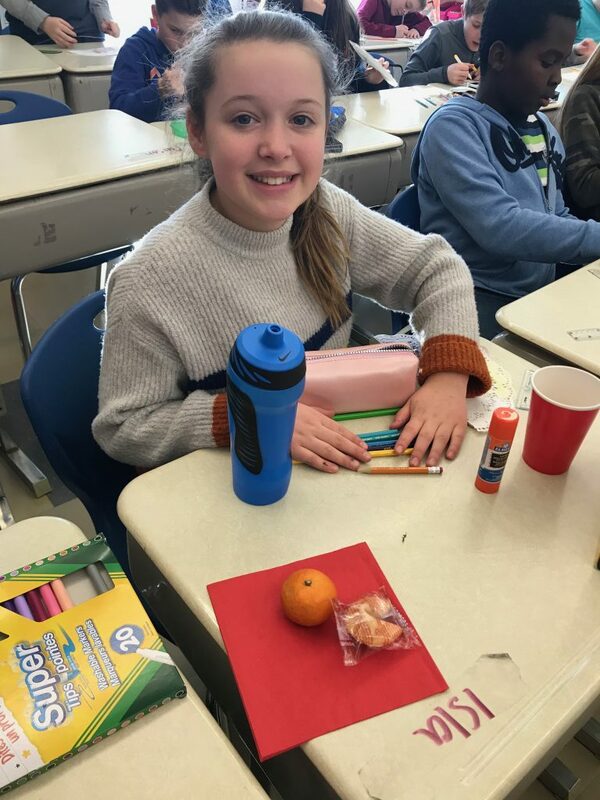 In their classroom, there are two students that celebrate the Lunar New Year. 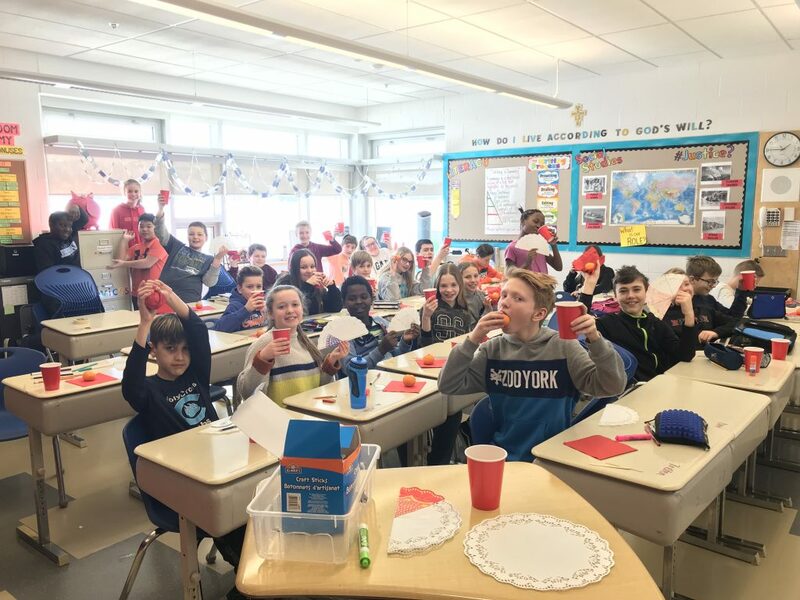 The class participated in an afternoon High Tea with Green Iced Tea, fortune cookies, and mandarin oranges wrapped in red tissue (a tradition that symbolizes good luck and fortune). They also completed a craft activity, customizing fans made from paper doilies.